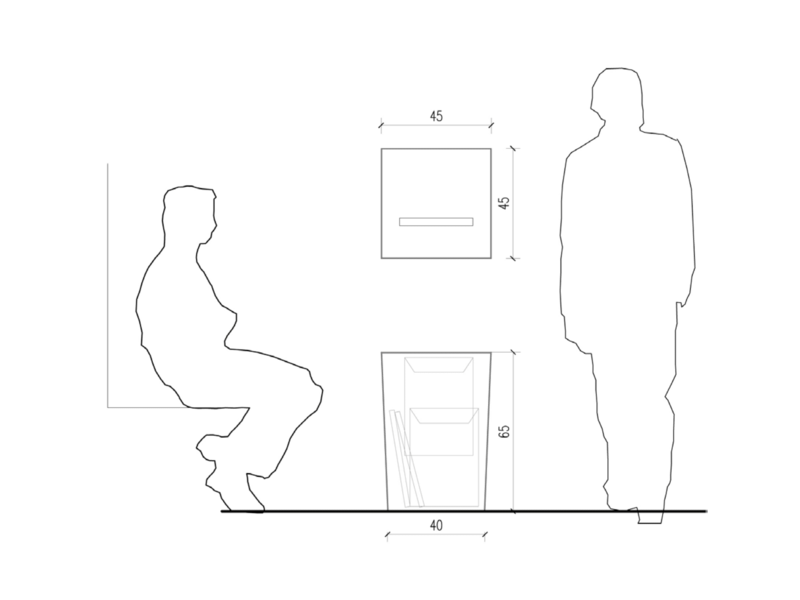 Transparent ballot boxes for voting up to 750 voters, adapted for the disabled. 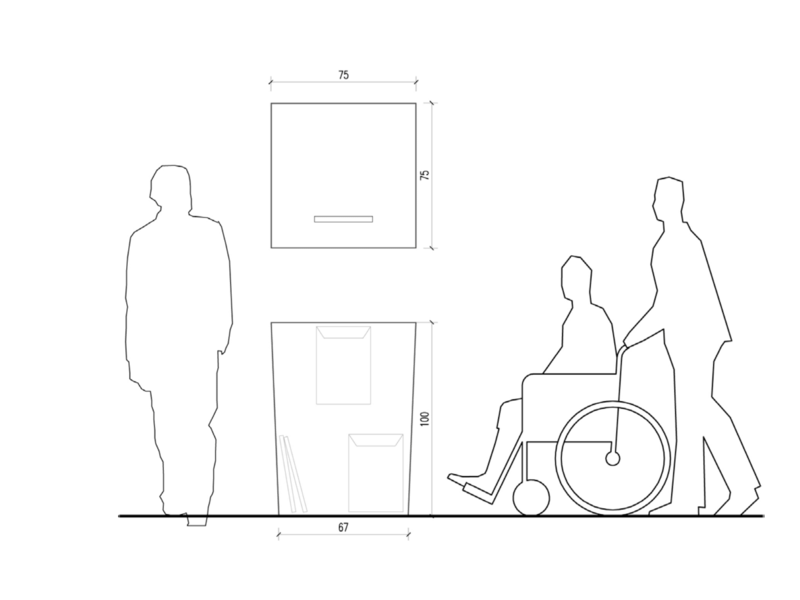 Transparent ballot boxes for voting over 750 voters, adapted for the disabled. Transparent ballot boxes (portable) for voting in health care facilities and in social welfare homes. 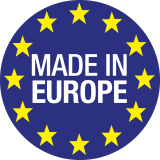 “… because quality counts“ is not just a slogan, it’s everyday work, through which the brand “MT Plastics“ is well established and recognizable on the market. 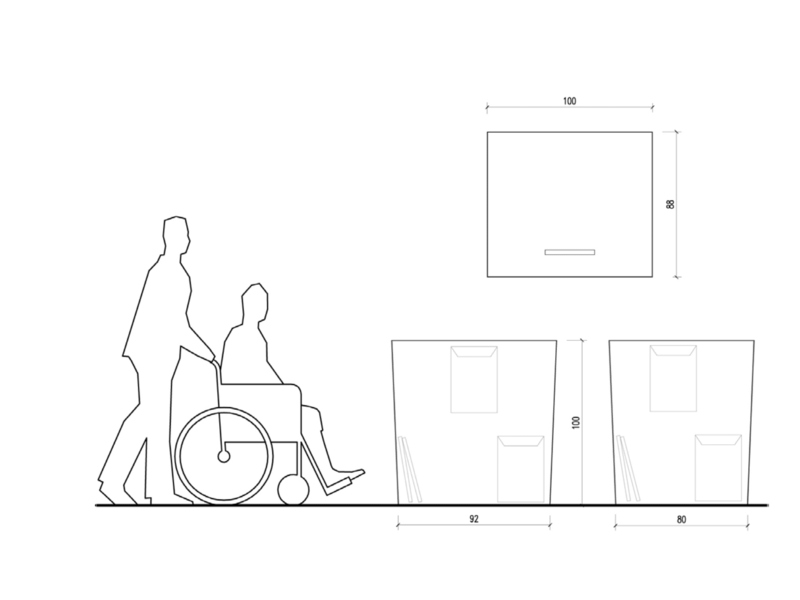 How are new ballot boxes built ? The next elections to be held this fall will go down in history not only in the context of political controversy, but also due to new demands for ballot boxes. 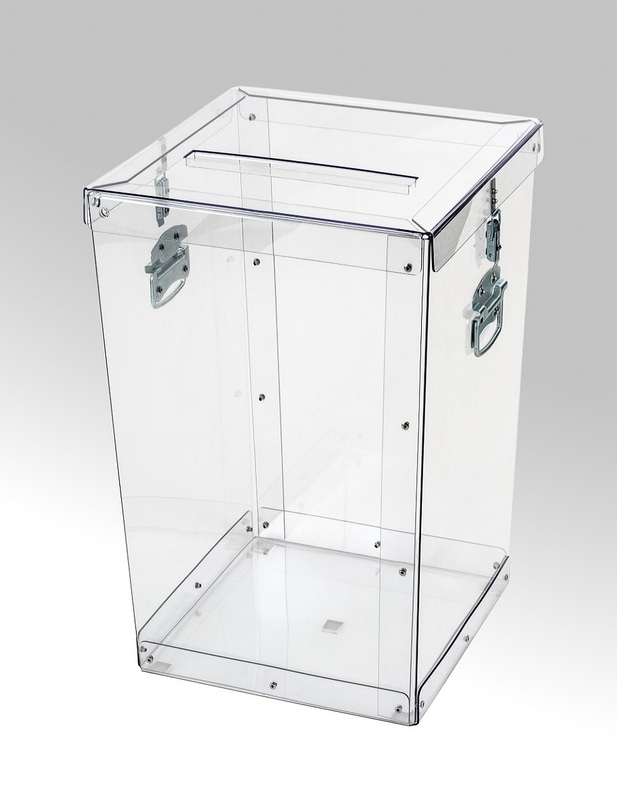 New ballot boxes are made of solid polycarbonate – acrylic, which is a transparent material. This makes it clear that the casket is empty. The secrecy of the voting process is retained because the votes will be placed in special envelopes. 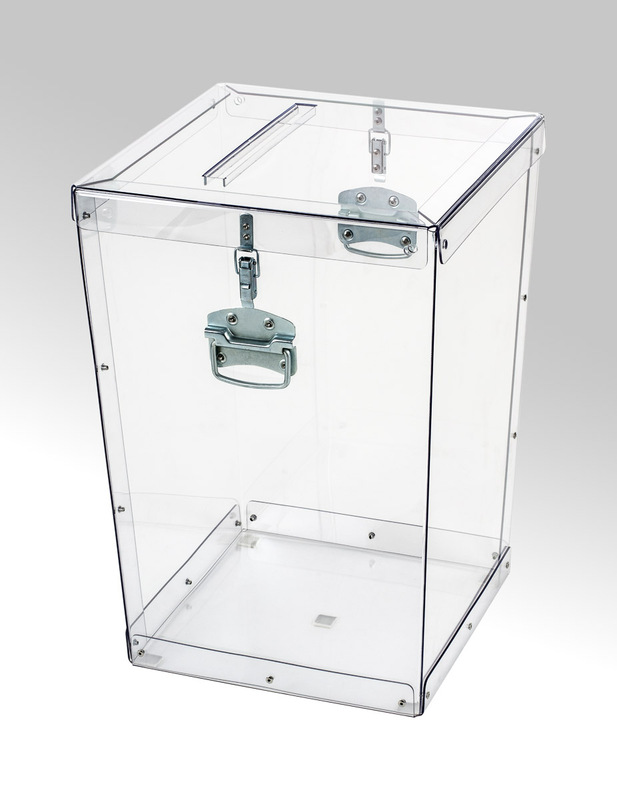 The ballot box is constructed of acrylic, is very light and easy to transport and store. 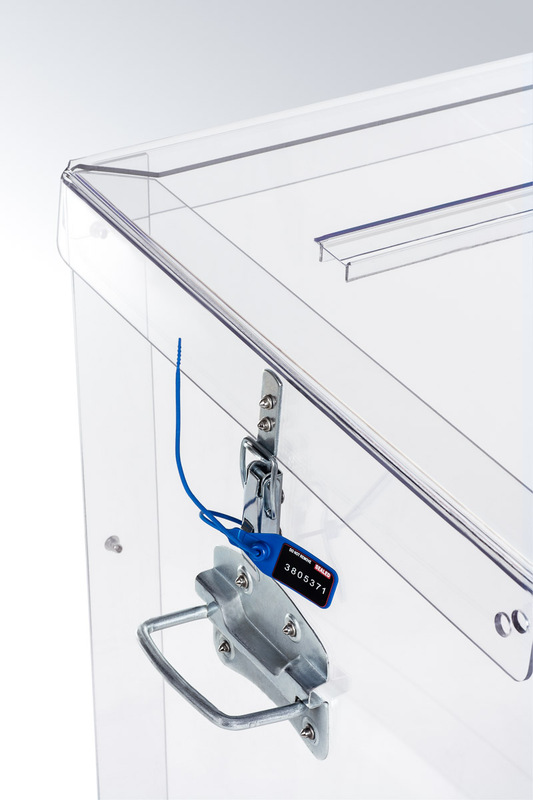 It should also be noted that the ballot box is exceptionally resistant to impacts and mechanical damage. The election urn is also very light, its weight only 4 kg. 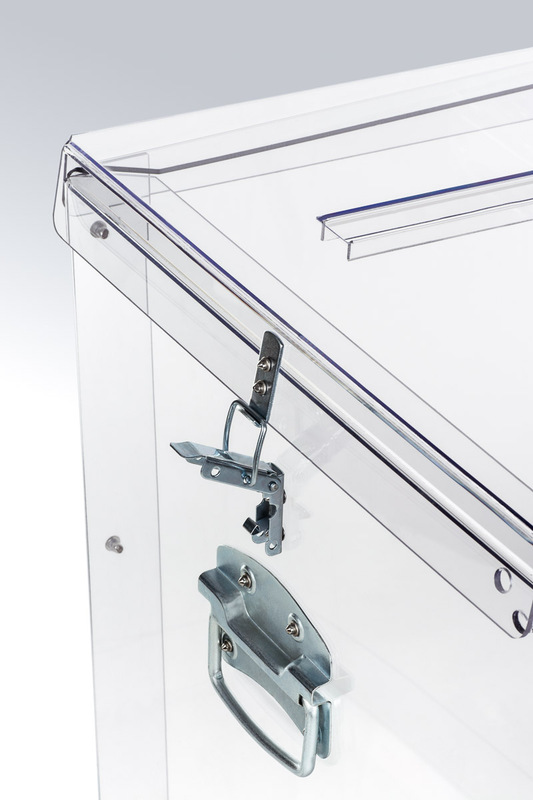 The ballot box consists of three parts: the underside, the side walls and lid with slot. Ultimately, the urn is designed for multiple use. New ballot boxes are much more popular among voters, because most of us have long wanted to say goodbye to old wooden boxes from the 1960s. We will now have more transparency.How are new ballot boxes built? 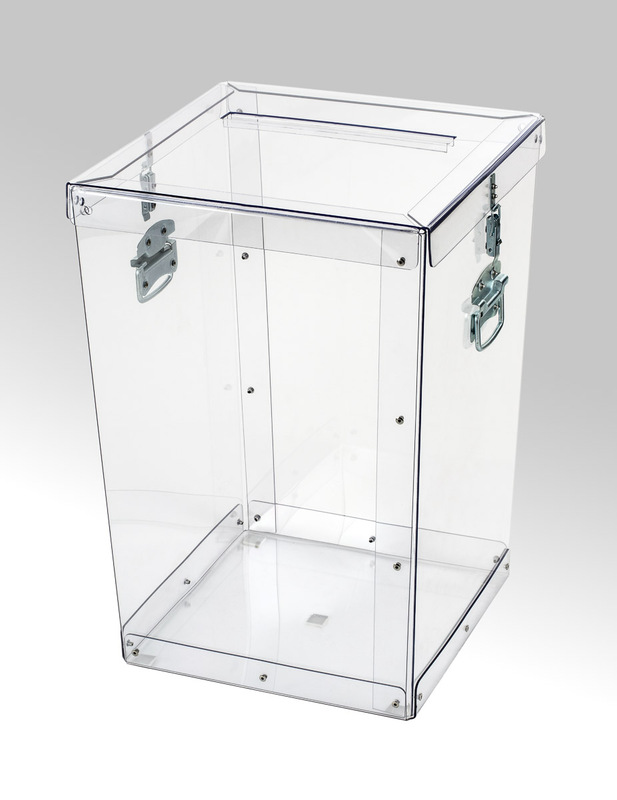 New ballot boxes are made of solid polycarbonate – acrylic, which is a transparent material. This makes it clear that the casket is empty. The secrecy of the voting process is retained because the votes will be placed in special envelopes. 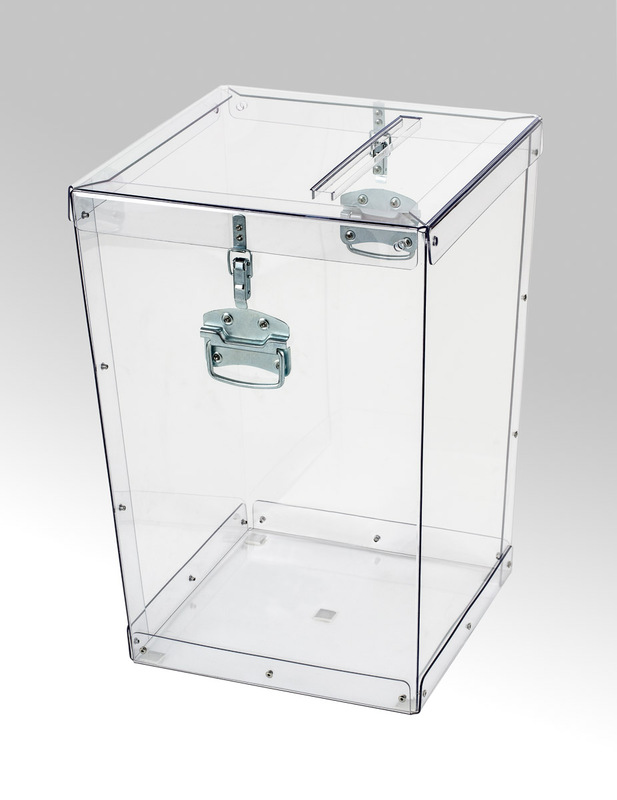 The ballot box is constructed of acrylic, is very light and easy to transport and store. 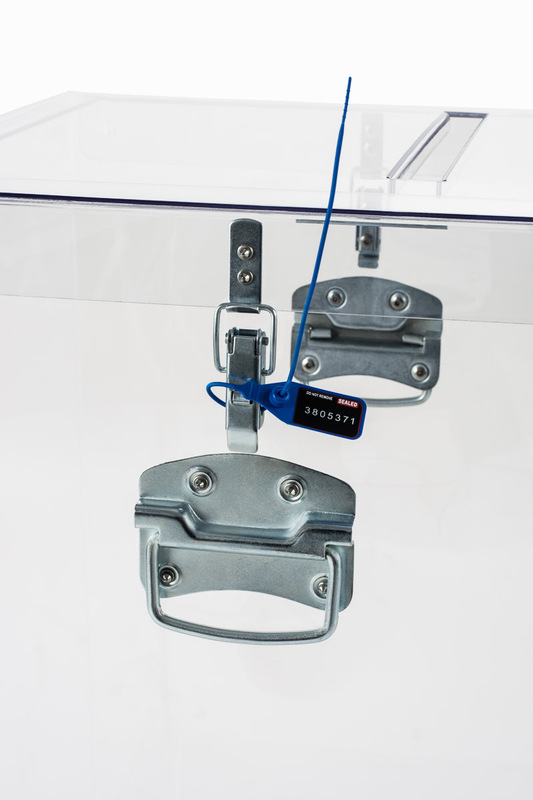 It should also be noted that the ballot box is exceptionally resistant to impacts and mechanical damage. The election urn is also very light, its weight only 4 kg. 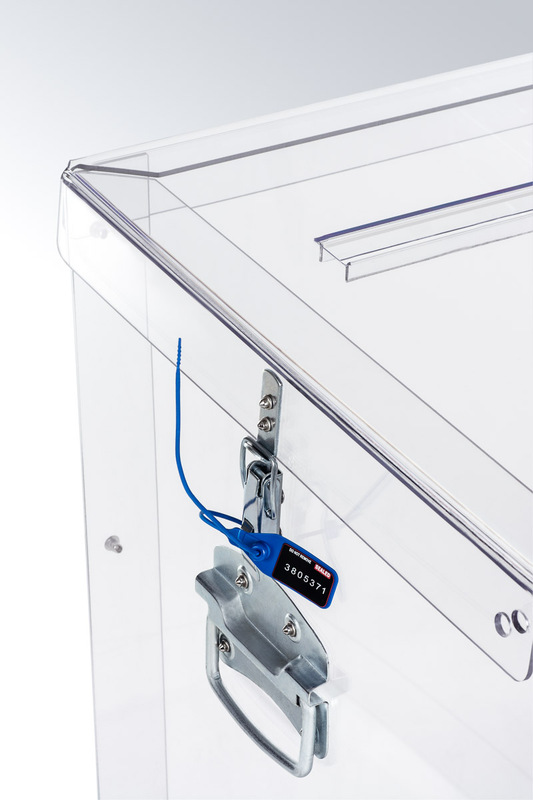 The ballot box consists of three parts: the underside, the side walls and lid with slot. Ultimately, the urn is designed for multiple use. New ballot boxes are much more popular among voters, because most of us have long wanted to say goodbye to old wooden boxes from the 1960s. We will now have more transparency. Each of us, after reaching the age of majority, can participate in the elections. Looking at the last one, a lot of this does not work, which can lead to a lot of trouble. One of the most important requirements during the election is their secrecy. It provides the ballot box to which the voters are cast. Ballot box is a temporary closed container, typically a square shape, or rectangular box containing a narrow slot at the top, through which it can pass a ballot to the election. The purpose of the election casket is to prevent anyone from accessing the votes cast until the end of the voting period. Ballot boxes are usually located in the polling place, although in some countries, especially Ireland, Italy and Russia, the urns may also be housed in houses that serve as such premises. When very large ballots are used to vote, the feeder mechanism is often used to facilitate the insertion of the ballot paper. 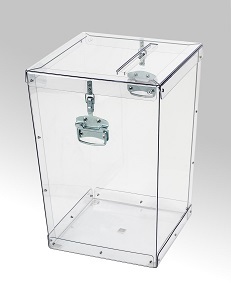 Transparent ballot boxes are used to testify that before the ballot was blank, it meant that there was no falsification of the ballot by voting. At the end of the election, all voices are counted and counted by the specially hired staff of the electoral district of that district. Results must be recorded. Election voters are already obsolete because of the fact that electronic balloting is now possible. Includes set of security seals (10 pcs) – FREE! Guaranteed quality and durability of the product! Within 24 months, in case of damage (even mechanical) we guarantee delivery of new product within 14 days. Quick order – click here ! Rapid valuation of transport costs. ORDER – CLICK HERE ! by e-mail, phone or just come to us. “… because quality counts” is not just a slogan, it’s everyday work, through which the brand “MT Plastics” is well established and recognizable on the market. 18 years of experience, numerous references. Wide range of products and own transport. 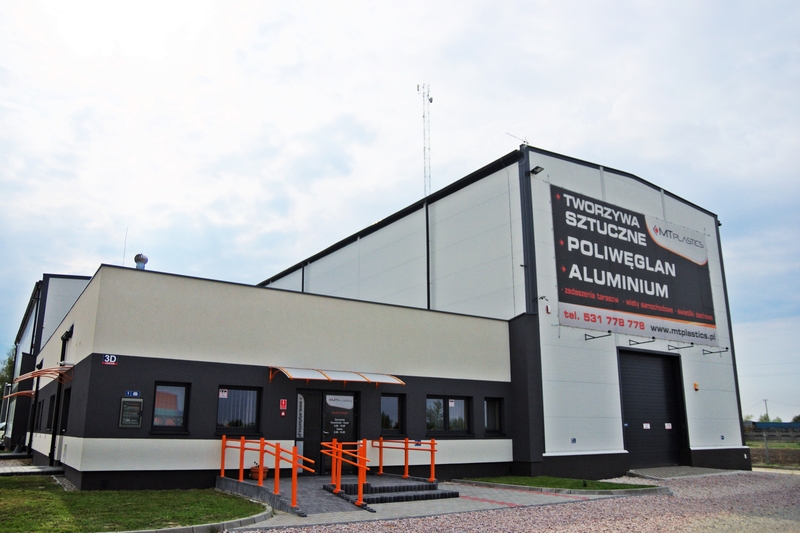 Direct contracts with producers of aluminum profiles and plastics in Poland and in Europe, regular customers of our products. It may be that irrespective of the type of raw material used in the products – the plates and their characteristics, Customers choose MT Plastics. In our contacts with the environment we focus on loyalty, reliability and partnership. A modern office building connected with halls, warehouses and production facilities, with one transport node. The hotel offers an ideal solution in the field of logistics, production and storage. 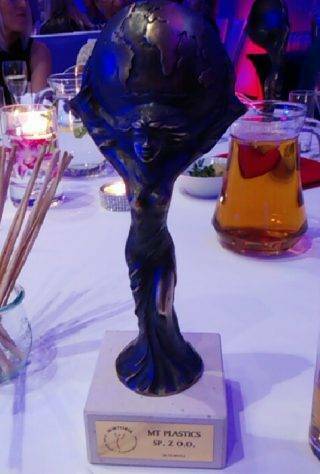 The award for the best innovative, growing companies in Poland !